Good grief, was Season 5 not the time for Arrow to end with a cliffhanger. I understand; “Lian Yu” is far from the series’ end, and the shared nature of The CW’s DC universe precludes any major time-jumps, but the conclusion of Arrow’s five-year flashback cycle marks a major milestone for the series. 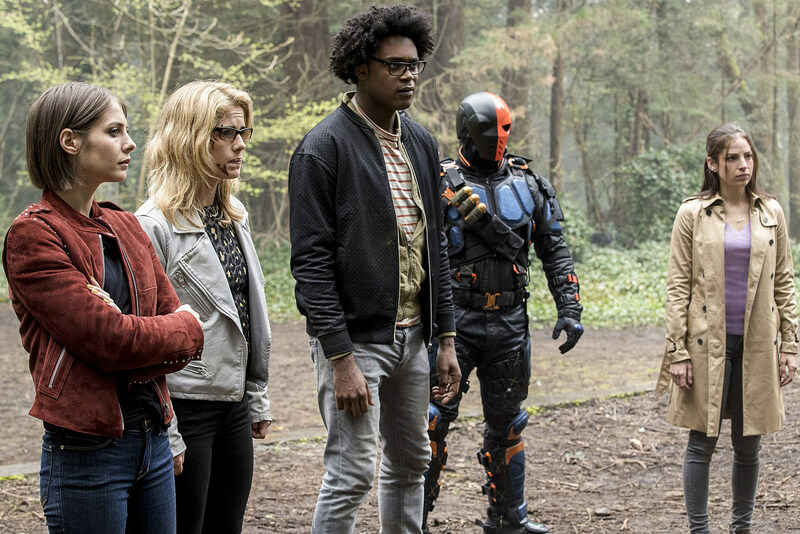 It’s a time to look back on legacy and chart a course for the next five years, not leave the audience wondering if Arrow murdered 99% of its major cast off-screen. It’s a waste of an ending, given the majority of what came before successfully celebrated everything great about the series – from its many relationships, to the scale of action in both timelines. Understandably, having all the major players present on “Lian Yu” is perhaps contrived in its own right. It still made for as many moving parts in one hour as micro-examinations of the various relationships, while neatly dovetailing with an otherwise-linear trek through Oliver’s final* island flashback. If anything, “Lian Yu” probably had too much to explore; opting instead to spike the “who lives and who dies” resolution to Season 6, along with any meaningful aftermath to Chase’s death. *There was no way Arrow’s Season 5 finale would eschew flashbacks – not with Dolph Lundgren’s Kovar hanging about – but “Lian Yu” would have benefit from fewer inconsequential cutaways. Not to mention, there’s still no reason Oliver’s rescue had to be that unseen boat, as opposed to just flashing forward a few months. The breadth of callbacks that “Lian Yu” organically achieved was impressive overall. Oliver and Felicity get one “last” kiss; Felicity and Oliver’s baby-mama Samantha worked out their issues, and even Malcolm and Thea got passable father-daughter closure before his notably comic-book end. Not to mention, everything from Felicity’s dad, to Sara’s Season 3 murder, to Shado got some sort of meaningful shout out. 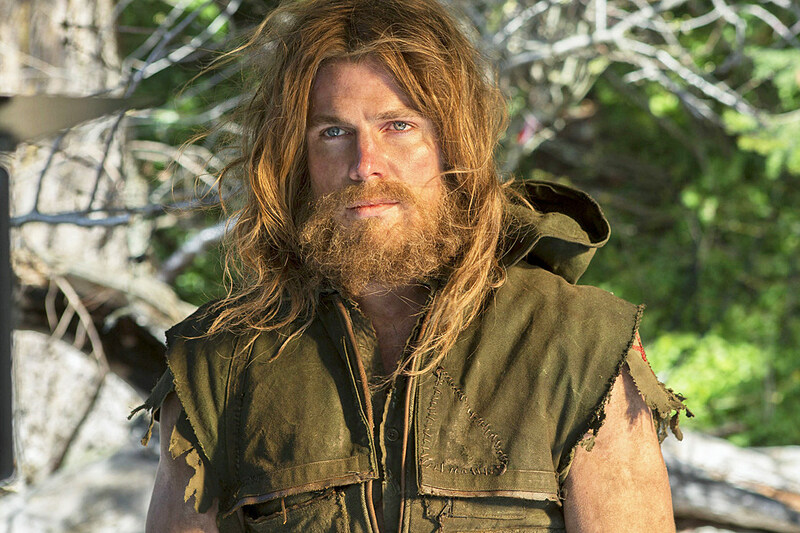 Having Manu Bennett back was also a wonderful treat to buoy Oliver’s reflection, however rushed it felt that the character was simply cured of his madness, and willing to fight alongside the good guys. Best of all was the chance to work in Susanna Thompson’s return as Oliver’s mother, a much more meaningful use of tonight’s flashback to observe the first moments of Moira learning her son was alive. It’s difficult to say whether Arrow had any one specific arc its five-year span needed to resolve, even if Slade placed Oliver’s anguish under the lens of his father’s suicide. It’s certainly no accident that Chase’s death would reflect Robert’s, to say nothing of the hall of mirrors that is Oliver and his son* sharing that same confrontation in a boat. Still, I’d probably place Arrow’s arc as a five-year journey of Oliver cementing his aversion to killing – easily the series’ most enduring quandary – and I’d hope Season 6 keeps that lesson at the forefront, rather than waver as the early Season 5 episodes had. *Two finale predictions I’ll concede defeat on: I presumed Chase wouldn’t have taken William to the island (or ever placed a child in serious jeopardy), as well that Rene actually missed his custody hearing on purpose. Strangely, that last one was never really acknowledged either way. And really, all those Se7en-style confrontations mirroring past and present (just as the Season 2 finale had) wrought incredible work from Josh Segarra and Stephen Amell. There was so much to love and remember of tonight’s finale, from thrilling melee heights to rich emotional depths. Perhaps Arrow’s only real sin is confining “Lian Yu” to a single hour. Ending such a cathartic milestone on the cheap uncertainty of Oliver’s loved ones exploding is some Walking Dead-level nonsense. Nice use of the classic Arrow logo in the title card. Digger Harkness returned for the first time since his Season 3 incarceration, and not a single boomerang was interestingly thrown. Two or three years on Lian Yu, and Oliver never once visited a giant temple, even for shelter? John Barrowman claimed he wouldn’t be returning to the Arrow-verse next year, but that off-screen mine explosion was a wiggle-room death if ever I saw one. Okay, for real – HOW did Chase have time the time and money to plant explosive charges across an entire island? Was there an awkwardly soft camera focus when Felicity told Oliver about Chase’s dead-man’s switch? Arrow Season 6 will premiere this fall on The CW, moving to Thursdays at 9:00 P.M.